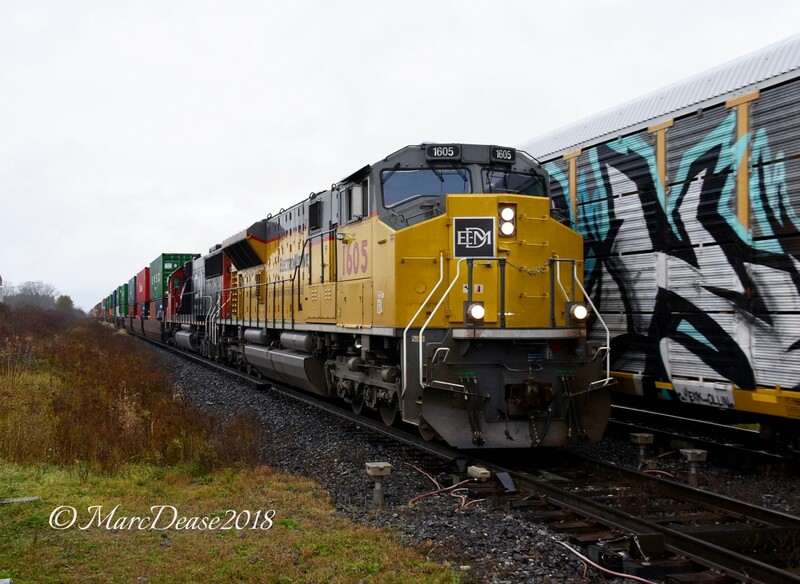 Railpictures.ca - Marc Dease Photo: A late running train 148 worked out in my favour with this Electro Motive Demo unit leading out of Sarnia and meeting 385 at Telfer Sideroad. | Railpictures.ca – Canadian Railway Photography – photographie ferroviaire Canadienne. Caption: A late running train 148 worked out in my favour with this Electro Motive Demo unit leading out of Sarnia and meeting 385 at Telfer Sideroad.